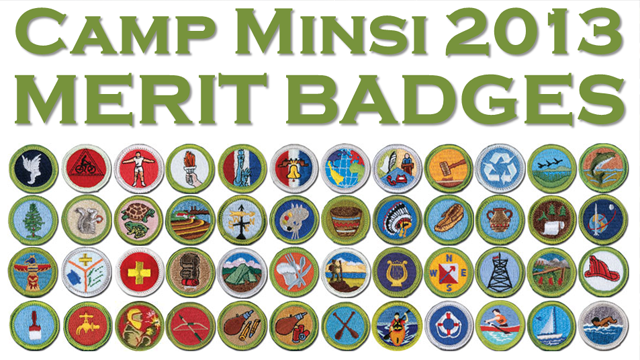 Camp Minsi's 2013 Merit Badge Guide is now available! This detailed guide includes everything you need to know about the merit badge programs offered at camp this summer – merit badge schedules, pre-requisite requirements, merit badge descriptions, and much more! While summer camp is still months away, it is never to early to start planning and preparing. Get your Scouts prepared and excited for summer camp by sharing this great resource with your unit today! 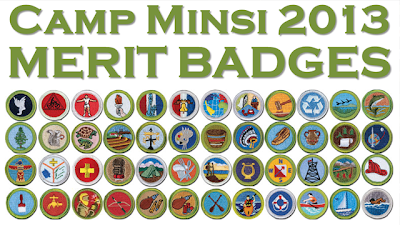 You can access the 2013 Merit Badge Guide at www.campminsi.org/badges. If you have any questions about the advancement opportunities at Camp Minsi, please feel free to contact the program director at CampMinsiPD@yahoo.com.